In a great post Nicholas Carr writes about the implications of the infinite memory the web shows. 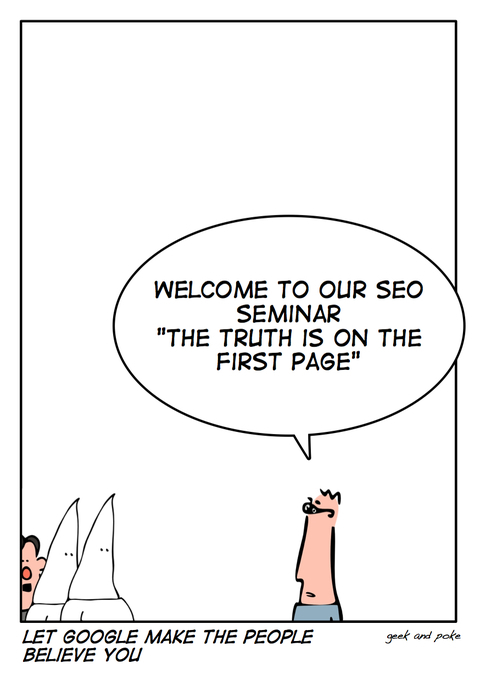 He takes as an example the SEO efforts of the New York Times. This has led to quite old and wrong articles highly ranked on Google. Whose fault is it? Googles? The New York Times'? What about us whose believe rises with the Google rank?